Buy, sell and trade, we do it all at Guitar Center Greenwood. We stock all the big brands like Fender and Pearl, and have an impressive inventory of used instruments as well. Our top-notch staff is well-trained to give you the ins and outs of the products we offer, and they're always available to answer questions and provide suggestions. We also encourage you to try before you buy from guitars and amps to recording and sound gear, if it's on display, you're welcome to use it. Have a question but can't make it in? Please give us a call at 317-884-3887. Guitar Center Greenwood provides comprehensive guitar repair services for the Greenwood area. Our repair technicians are as passionate about your guitars and basses as you are, and we have the experience needed to keep them performing at their best. Whether you need a quick adjustment to make your guitar easier to play, or a complete guitar rebuild, we have the tools and know-how to take care of your instrument. Guitar Center Greenwood can also help build a maintenance plan that fits you and your guitar or bass needs, including custom setups, restrings and more. We also take care of fret repairs, hardware and pickup installations, upgrades and customizations, bone and graphite services and more. Since opening our doors in April 2006, Guitar Center Greenwood has had one main goal: to sell the greatest feeling on earth to musicians from all over Johnson County. Nestled between Jo-Ann Fabric and Craft and Verizon Wireless in the Green Pavilion, we're right off Highway 31 and very easy to find. From aspiring amateurs to veterans of the stage, anyone with an interest in music is invited to stop by, chat with our staff and check out our great selection of new and used instruments and gear. 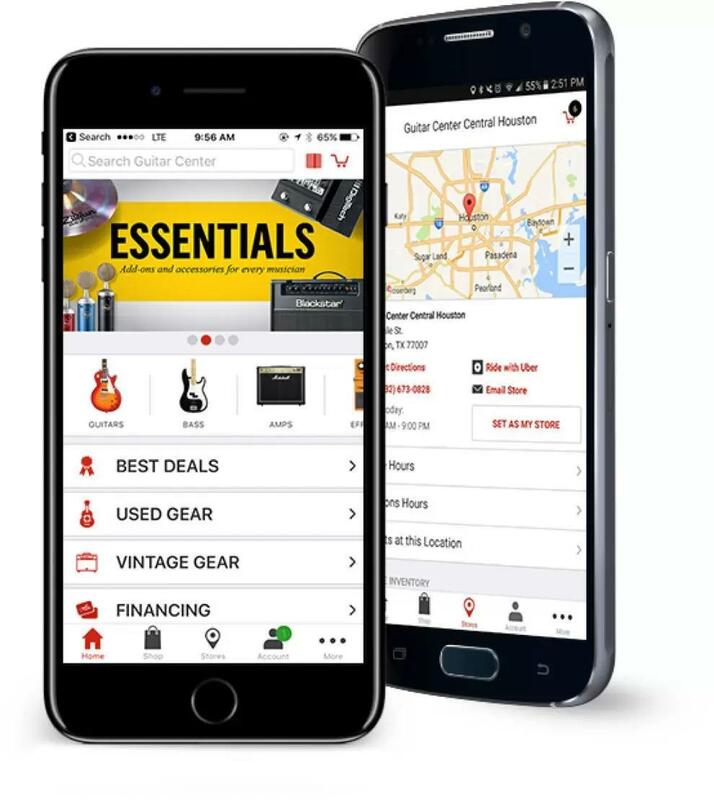 First and foremost at Guitar Center Greenwood, we strive to give you the experience that Guitar Center is known for nationwide: big-store selection and prices with small-shop expertise and personality. From sales to repairs, our staff in each department is well-trained to cater to Johnson County music-lovers. Our store is open every day of the week, so there's always a right time to visit even if you're on a busy schedule.